According to my astrological sign, I am a homebody and get comfort from my home. Perhaps that is why whenever I think about tearing my home apart in a renovation I get a panic attack. The thought of the impending disruption is certainly a reason to put those renovation thoughts on the back burner. It's one thing to know that you want your kitchen renovated, but it's another to actually take the steps to get the work done. You mustn't delay updates to your home forever. Short of moving there is no other way to address the wear and tear a family of four leaves on a home over time. Let's face it, the kitchen takes a lot of abuse from the daily life of a family. My experience with a family room addition several years ago left me greatly resistant to repeating those trials and tribulations. In that project, the three-month family room addition turned into six months of disruption, of which about four weeks were spent with the backside of our home completely open and unsecured. Plastic sheeting was all that protected us from the critters and weather. I was very hesitant to repeat that experience, but after hemming and hawing for much too long, I finally acknowledged a kitchen renovation could no longer be delayed. For me, there were five key questions I needed to answer to get my kitchen renovation project launched. Answering these questions should help to get your renovation wheels in motion, too. What do I want the remodeled kitchen to look like? Answering this question took me several months. I started gathering kitchen remodeling ideas by watching HGTV programs like Property Brothers and Flip or Flop. This helped me to see the direction of current kitchen design practices. I also started an inspiration file using pictures of kitchens from houzz.com. Building my inspiration file took me hours and hours and hours, but it was time well spent. By watching the television shows and flipping through hundreds and hundreds of pictures online I was able to zero in on just what I wanted for the look and feel of my kitchen. Knowing what I didn't want was just as important as knowing what I wanted. This helped me to be very clear and specific when speaking with the kitchen designers and trade professionals who would execute the plan. How much will a kitchen renovation cost? 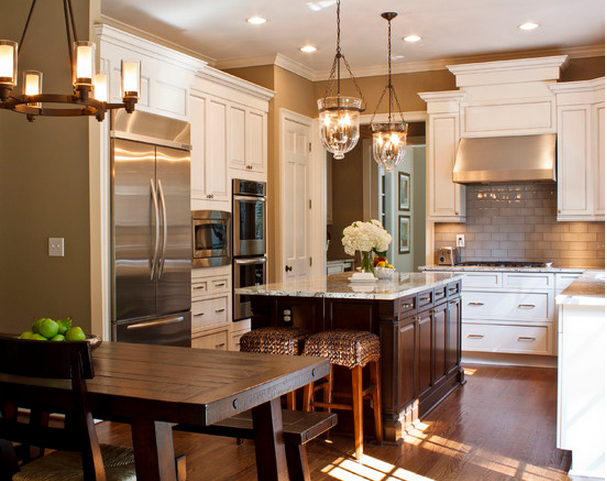 Setting your budget may be the most important question to answer in a kitchen renovation. I started by Googling the question to see what a typical kitchen might cost. Well, try it, and you'll see you get no helpful answer. The real answer is a kitchen renovation will cost as much as you let it cost. This realization sent me back to my first question about what I wanted the kitchen to look like. I realized I needed more detail in my inspiration file. 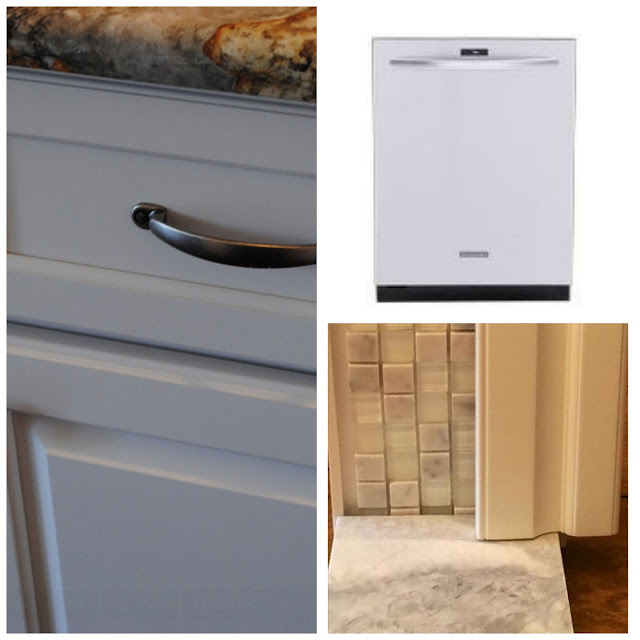 I needed to get specific about the cabinets I wanted, the counter material, the sink, the faucet, the appliances, the flooring, the windows, the lighting.... Are you getting the picture? Yes, it's true. The devil IS in the details. Who will perform the work? Who will do the work is a very important question to ask and answer. The size and scope of your project will determine whether you need a contractor to manage it. We were not making structural changes in our project, so we felt we could manage it. First, I had to decide if any portion of the work would be done by me, or Hubby. For this, you must be realistic. Do you have the skills? Do you have the time? Do you have the desire? After going back and forth on this question Hubby and I decided I was the only one who would be available to do any part of the project. The tasks I had the skills and willingness to tackle were project planning and painting. Professionals would be required to do the rest. That meant I needed a kitchen designer, a carpenter/installer, a floor tiler, a plumber and an electrician. More about these professionals will come in subsequent posts. How long will the kitchen renovation take? If you watch those HGTV shows you might think a whole house can be renovated in six weeks, but due to my prior experience, I knew that was highly improbable. I did think that it would be reasonable to expect my kitchen renovation with no structural changes could be accomplished in six weeks, excluding the painting that would be my responsibility. Six weeks of renovation in the spring was my to be my target. The planning started the summer before. How much disruption will I have to endure? The answer to this question is directly related to your planning and the professionals you engage to execute the plan. It also depends on whether you plan to reside on site while the renovation is underway or you can plan to be away for at least part of the work. Knowing myself as I do, I decided it would be wise for me to plan to be away for as much of the work as possible. If you will be living in your home while the kitchen is being renovated you must be prepared to be without your sink and appliances for the duration of the work. How will you handle that? You'll need a plan. Are you contemplating a kitchen renovation? Start by answering these five questions. Then you'll be ready for the next step, developing the kitchen plan. First in the series: Time for A Kitchen RenovationLinked to Between Naps on the Porch.